Do Your Brakes Need Replaced? The braking system is one of the most important parts of your vehicle but it’s also one that gets ignored too often. Many drivers don’t always realize they have a problem with the brakes until it’s too late. Getting your brakes inspected will ensure that they are in good working condition, so you know they will stop the vehicle when you need them too. This simple act can help prevent you from being involved in an accident, so it’s very important for you take the time to have them checked out at least once a year if you’re not having any problems. However, you should also know the warning signs that might indicate a problem with your brakes so you can take your vehicle to your service technician immediately, if you’re having any of these problems. Normally, before your brakes get so bad they won’t stop the vehicle properly, there are warning signs that will alert you there is a problem in addition to the brake light indicator on your dashboard. Knowing what these signs are will help warn you that there is a problem so you can take your vehicle in for maintenance before you have an accident. All braking systems are different depending on which type of Toyota you’re driving. However, if you experience any of the problems above, it probably means that your brakes need replaced. 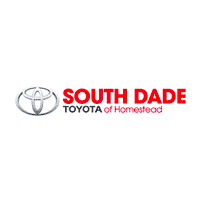 Give us a call here at South Dade Toyota and we’ll make you an appointment for an inspection. There are many things that affect how long your brakes will last. Some of them you have no control over but there are a few things that you might be doing to reduce the lifespan of your brakes. For example, the way you drive could be putting stress on the brakes causing them to wear out faster than they should. Following these tips can help extend the life of your brakes but eventually they will wear out. For this reason, it’s imperative that you have them inspected regularly or at the first sign of trouble if it’s between inspections. Replacing the brake pads when needed will also extend the life of the rotors and other parts of the braking system. 0 comment(s) so far on Do Your Brakes Need Replaced?